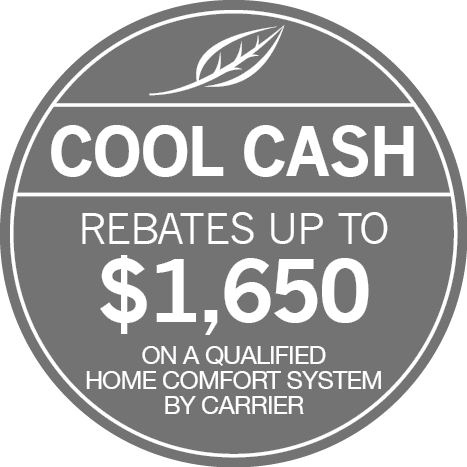 For expert air conditioner repair in Glenview and across North Shore and Northwest Suburbs, call on R.H. Witt Heating & Sheet Metal. Family owned and operated, we recognize and answer the need for affordable, honest, and proficient service. From ongoing factory training, and state-of-the-art diagnostic equipment, to extensive in-field experience, we have the tools to resolve any problem to your satisfaction. Founded in 1966, we’ve built our reputation on unwavering dedication to greater value for your energy dollar, and have earned recognition as a Carrier Factory Authorized Dealer by meeting higher standards of excellence. Our goal is to not only restore your perfect comfort straight away, but to ensure sustainable performance on down the road. Quickly and accurately identifying and correcting problems, even minor ones, will extend the life of your cooling system, ensure reliable operation, and allow you to better enjoy your home or work space. Rather than live with diminished comfort, call on the professionals from R.H. Witt Heating & Sheet Metal. Let us provide swift and cost-effective cooling solutions that protect your long-term investment. We work on all makes and models, provide appointment times at your earliest convenience, and never waste your time with tardy arrivals. Our NATE-certified technicians are equipped with cutting edge technology and a full inventory of quality replacement parts, enabling the majority of repairs to be completed in a single service call. R.H. Witt Heating & Sheet Metal offers trustworthy and skilled air conditioning repair across Glenview, Northbrook, Highland Park, Glencoe, Winnetka, and Wilmette, IL, including Emergency Service, 24 hours a day, 365 days a year. We are never more than a phone call away. R.H. Witt Heating & Sheet Metal… Dedicated To Your Comfort!